I no longer sell greeting cards wholesale. The majority of my time is now spent running my nature charity. 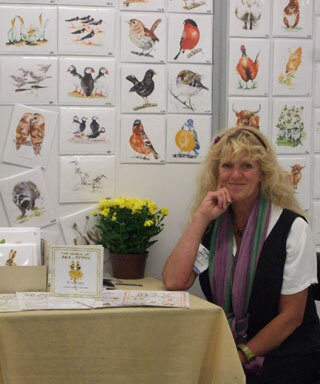 I am still painting and do sell my originals and prints at fairs around the country and from my web site. Thank you for buying and selling my cards over the past 20 years. I am raising funds towards the new education centre for my charity Naturezones Wildlife Education Trust. Every little helps. Please go to our Naturezones web site for more information.